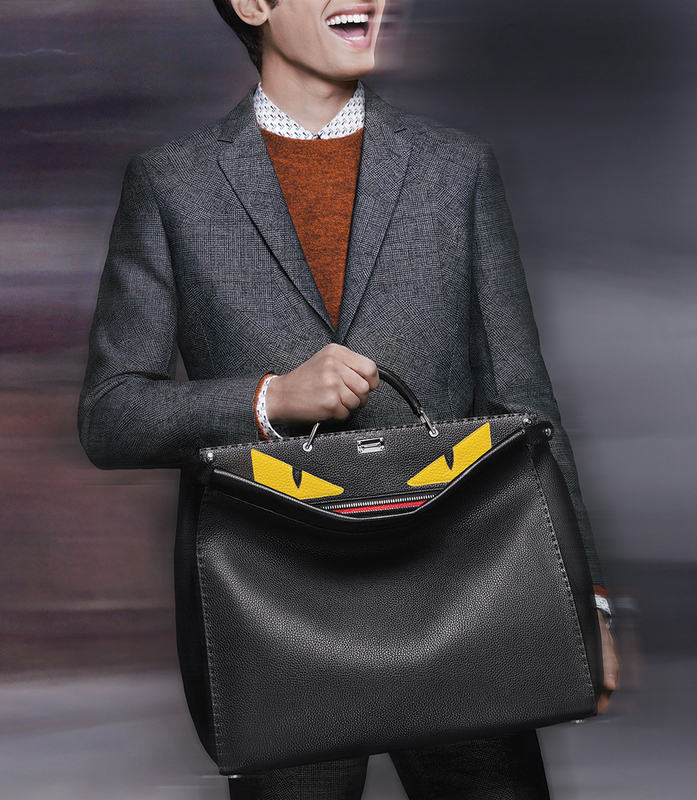 Italian luxury fashion house Fendi has introduced the men’s version of its hugely successful Peekaboo bag, first launched in 2008 for women. A part of the brand’s FW 14-15 Men’s Collection, the iconic bag’s traditional yet modern contemporary shape will satisfy the most sophisticated men at work or during the weekend. Created in precious Selleria leather, signature of Fendi Men’s leather goods, it presents a colour palette in shades of grey, in blue and black. The shape is bigger than the woman’s version with the bag’s lock hidden by the leather for a more linear and clean design. The new closure on the other side features a zipper. The handles take inspiration from a doctor’s bag.